Honey has been used as an alternative cure for centuries, though it is rarely mentioned in mainstream medicine these days. You might be skeptical like many others that the honey you spread on your morning toast could actually heal your body. But many studies have shown that honey has strong antibacterial properties when it comes to treating injuries and infection. Honey has also been found to help with tissue healing. Honey can be used as an anti-inflammatory and can actually stimulate immune response within a wound — a true healing food! Now you can chalk up another health benefit to honey: it could help prevent coughing associated with respiratory infections. Researchers in the Department of Pediatrics, Shahid Sadough University of Medical Sciences in Iran, conducted a clinical trial to investigate the healing properties of honey. They compared the effects of honey to those of two common drugs on the nightly cough and sleep quality of children and their parents. The study involved 139 children aged 24-60 months who were assigned randomly to four groups. The first group received honey, the second a cough and cold drug, and the third another common cold medication, while the fourth group acted as a control. After approximately 24 hours, the four groups were reexamined and cough frequency, cough severity, and sleep quality in both the children and their parents were recorded. The research team found that the honey group had significantly better results when it came to sleep quality and cough reduction compared to those in the other groups. They concluded that a 2.5-milliliter dose of honey before sleep has a more alleviating effect on upper respiratory-induced cough compared with the two drugs used in the trial. Honey is a great way to promote your natural health. 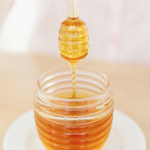 Be aware that different types of honey have different capacities for healing. Manuka honey has been clinically shown to have antibacterial properties over and above those of other honeys. All honeys contain hydrogen peroxide produced from an enzyme that bees add to the nectar. Apparently, manuka honey has something above and beyond hydrogen peroxide. Even though numerous tests have been done, no one has ever discovered exactly what this extra ingredient is. But what research does seem to show is that manuka honey works equally well on bacteria, fungi, protozoa, and just about any other infectious organism.